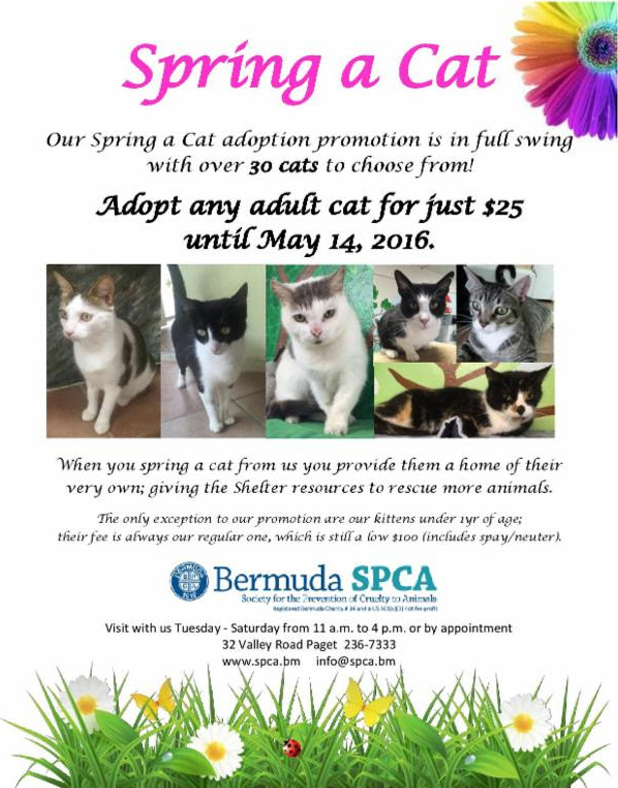 The Bermuda SPCA ‘Spring a Cat‘ adoption program has over 30 cats available for adoption, with any adult cat available for $25 until May 14. “When you spring a cat from us you provide them a home of their very own; giving the shelter resources to rescue more animals. For more information, call 236-7333, email info@spca.bm, or visit the website.